It’s always good to back up the iPhone from iTunes or iCloud (also works for iPad), especially if you want to get ready to upgrade iPhone (or restore it after something that did not work). Here’s how to back up on iCloud and iTunes (also works for iPad and iPod touch). There are two methods of saving iPhone data: through iTunes and iCloud. The first, simpler, uses iTunes (available for Windows and MacOS ), which saves all your iPhone data on your computer. The other one, which uses iCloud, saves your data in the cloud, but has limited space of up to 5 GB. Which one to use? It is good to keep both active. Check the Encrypt iPhone backup option if you want to back up account passwords or data from Health and HomeKit applications. As much as iCloud backup is limited to 5 GB free, it’s interesting to make it active. 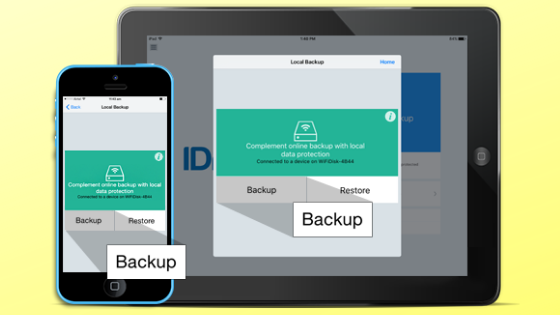 If you have a lot of data that bundles iCloud backup, I advise you to leave the backup of the photos inactive. To do this, just touch Photos and then turn off all options. Another tip is to enter the Storage section, just above the applications that use iCloud, and then tap Manage Storage. From there, you can choose to see what is taking up more space in the backup and you already know what to take or not, depending on your need.